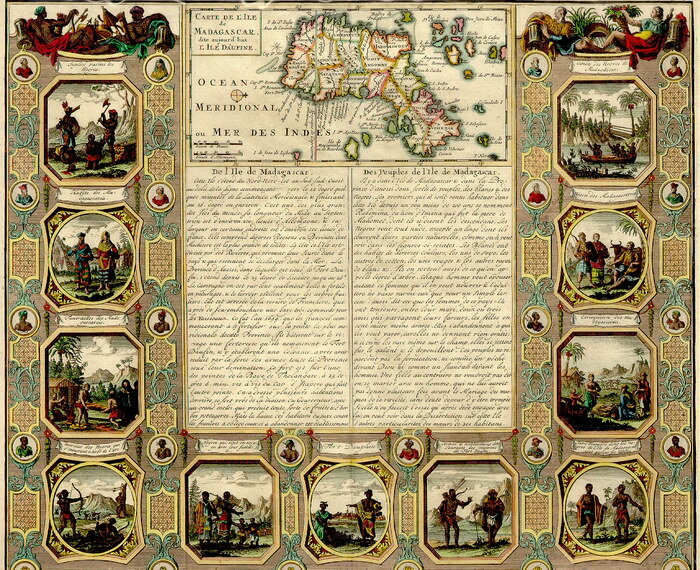 A colour reproduction of a map of Madagascar by Henri Abraham Chatelain (1684-1743). This map originally appeared in Chatelain's seven-volume Atlas Historique for which Nicholas Gueudeville wrote the text. 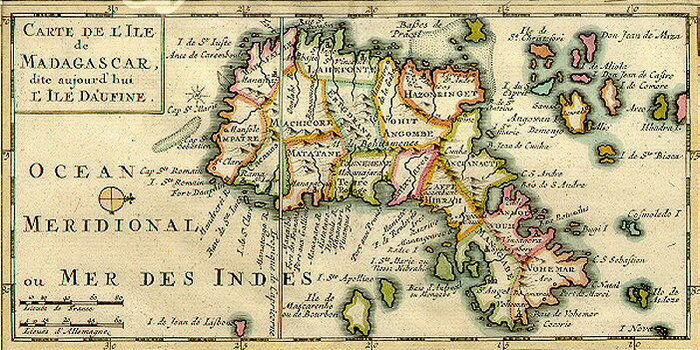 The map (oriented with North to the right) appears at the top of the page with text (in French) describing the island and its inhabitants beneath. 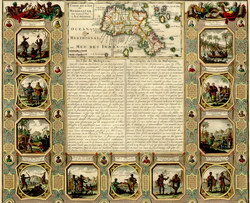 The page is decorated with numerous illustrations depicting life in Madagascar. This reproduction is roughly 56% of the size of the original, which measures 430mm x 374mm on a sheet 522mm x 453mm. The scale of the original is approximately 1:14,000,000. From Atlas Historique, tome VI, no. 34, p. 142. Replicated from a map in the collection of the University of Florida Library.